Electro-Luminescence is a new technology which provides a clearer display than back-lit LCD while at the same time using less power. 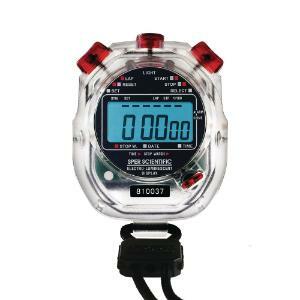 The result is a stopwatch easy to read in the dark which will provide about 4 hours of continuous illumination. 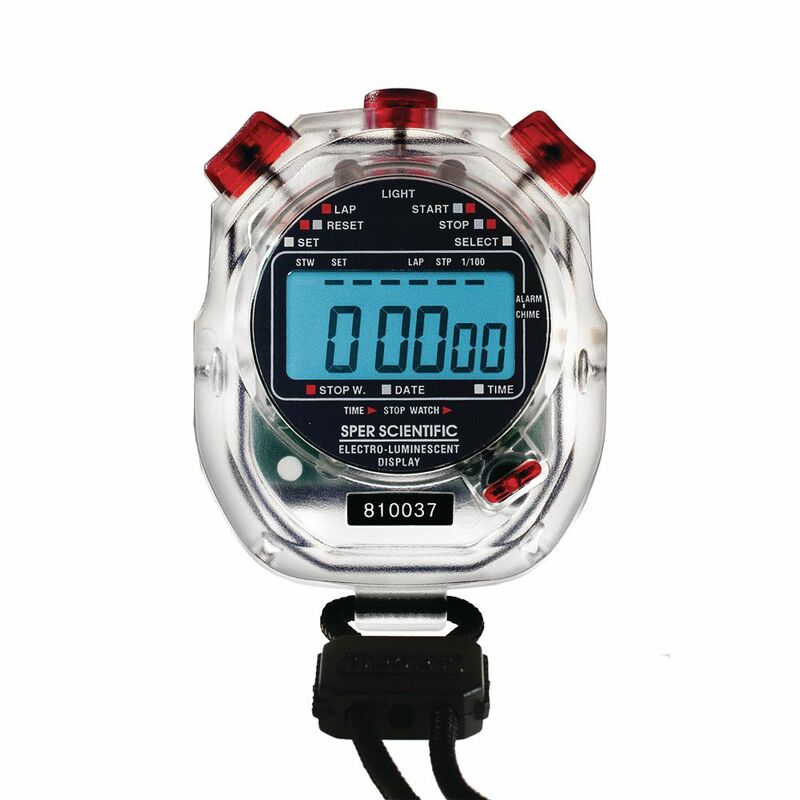 The Electro Luminescent Water Resistant Digital Stopwatch is excellent for HPLC, TLC, electrophoresis, dark rooms, and nocturnal behavioral studies. A sonically welded case ensures excellent water resistance. Large 5/8" high display for good visibility. Counts up to 24 hours with resolution of 1/100 second for the first 40 minutes and 1 second resolution thereafter. Has a lap function, alarm clock and calendar. Certifications: N.I.S.T. traceable certificate of compliance for 14003-180. Ordering information: Button cell battery included.